Mexico’s Pacific Treasure had an outstanding participation in the annual event of US wholesaler Mark Travel Corporation. The Riviera Nayarit had a very busy week of promotions at the annual Mark Travel Corporation Summit (TMTC) that took place from October 25-29 in Cancun, where the US wholesaler gathered its “500 Club” of travel agents for training, company updates and an opportunity to meet with providers and tourism destinations during the tradeshow portion. The Mark Travel Corporation (TMTC) is one of the top wholesalers in the United States; it has proudly serviced millions of satisfied tourists since 1974 and manages a number of vacation brands including Funjet Vacations, Blue Sky Tours, My Destination Wellness, Showtime Tours and Southwest Vacations, not to mention it’s also an important revenue source for the destination. 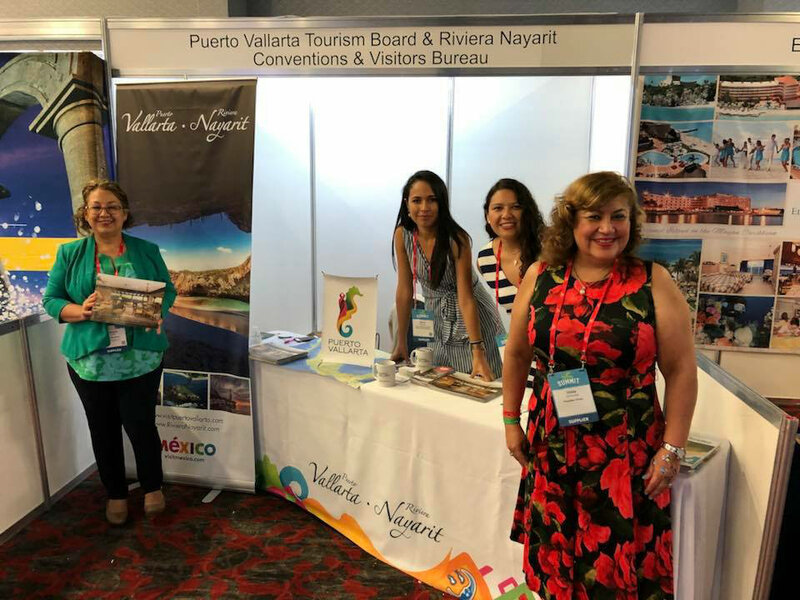 Before the start of the event, the Riviera Nayarit Convention and Visitors Bureau (CVB) and the Bahia de Banderas Hotel and Motel Association (AHMBB) offered workshops for the call center personnel at the most important online travel agencies in the country. 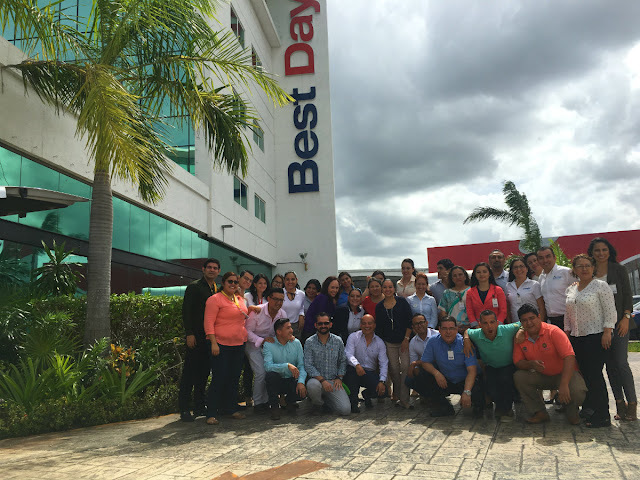 The first training seminar was held along with the Puerto Vallarta Tourism Trust with the participation of 130 travel agents from BestDay; they also offered a cocktail party where they highlighted attractions from both destinations while representatives of 9 regional hotels exchanged information about each property’s updates and news. The second seminar was at HotelBeds, a worldwide provider of travel services, where the Riviera Nayarit held a presentation for 20 travel agents and shared information on the hotels that participated in the event. 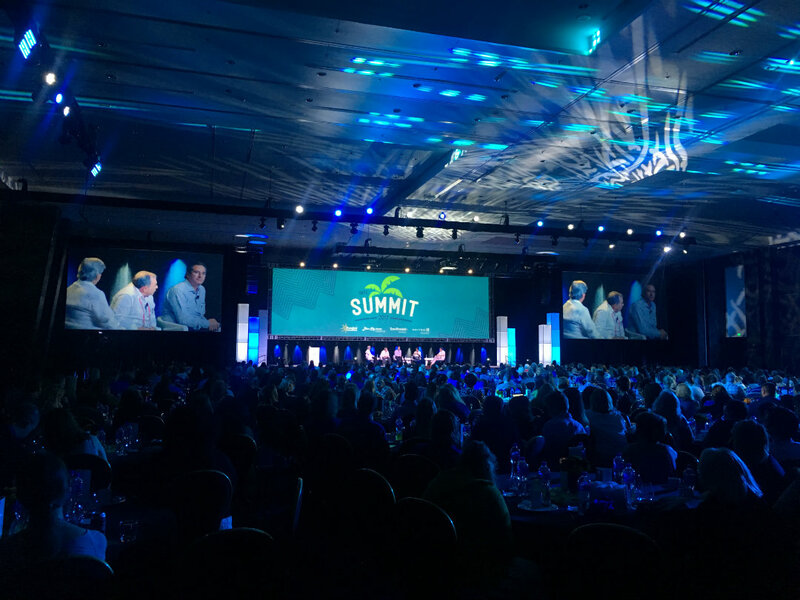 Later, during the 2017 TMTC Summit, the team contacted over 250 US-based travel agents working with operator Funjet Vacations, an important regional business partner that handles over 11 flights a week from Chicago, Denver, Los Angeles, Milwaukee and St. Louis. Last but not least, the team held a presentation at the Price Travel offices, where they trained 40 travel agents who expressed an interest in the Riviera Nayarit and were looking to increase their sales, as they mentioned the destination sells very well. The Riviera Nayarit Convention and Visitors Bureau (CVB) and the Bahia de Banderas Hotel and Motel Association (AHMBB) reiterate their commitment to working hard to continue to attract more and better tourism to Mexico’s Pacific Treasure, with the support of the Nayarit State Government via the Tourism Promotion Trust (Fiprotur). The Mark Travel Corporation manages several successful brands within the tourism industry, including FunJet Vacations, United Vacations and Southwest Vacations. They provide service to over 1,100 destinations worldwide.